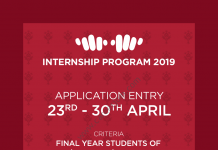 The City School Pakistan is now accepting applications for Summer Internship Program 2019 from fresh graduates and students in various fields. The City School is one the best School system in all cities of Pakistan. The City School Summer Internship Program is offered annually and hire them as internee in Pakistan. City School seeks the brightest new recruits to inspire innovation and bring in a fresh perspective. As a diverse and dynamic academic organisation, TCS offers exciting opportunities for ambitious applicants. In City School Summer Internship Program Internees are enrolled annually, according to the capacity and workload of the department. Internees will be rotated through different functional areas within the department according to the prevailing requirements (in areas of confidentiality, the internee can be bound to one position such as in the Finance & Accounts, Tax and Audit departments). 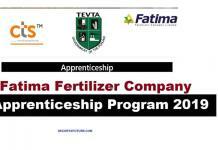 This is a best Summer Internship Opportunity In Pakistan for fresh graduates and students. Upon successful completion of the internship programme, an internee will be awarded an Internship Certificate, An internee file will be kept for potential job offers on the basis of their performance. 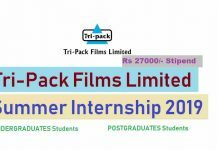 The duration of an internship is 6 weeks and will begin internships from 1 June till 30 September annually. To Apply for The City School Summer Internship Programme 2019 fill the application form from link given below by clicking the apply Here.